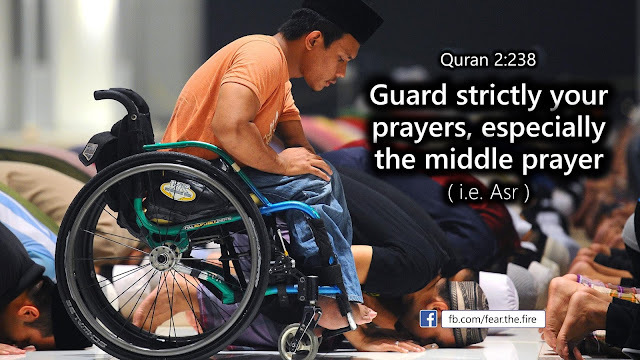 An adult Muslim man is never exempted from offering prayer even if he is on a battlefield or on his death bed. 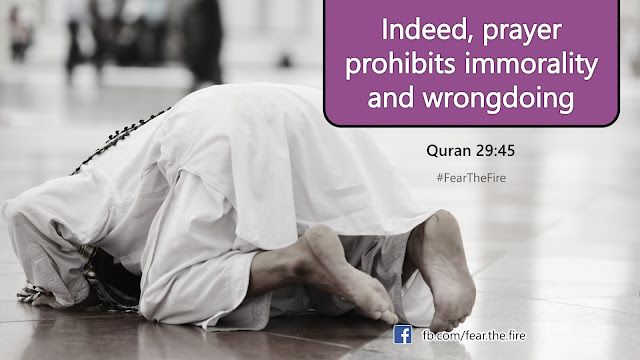 A Muslim woman however is exempted from not praying in two situations: she is either menstruating or she is in a state of postpartum bleeding. Beyond these two reasons she too must sincerely pray and fulfill her obligation to Allah. 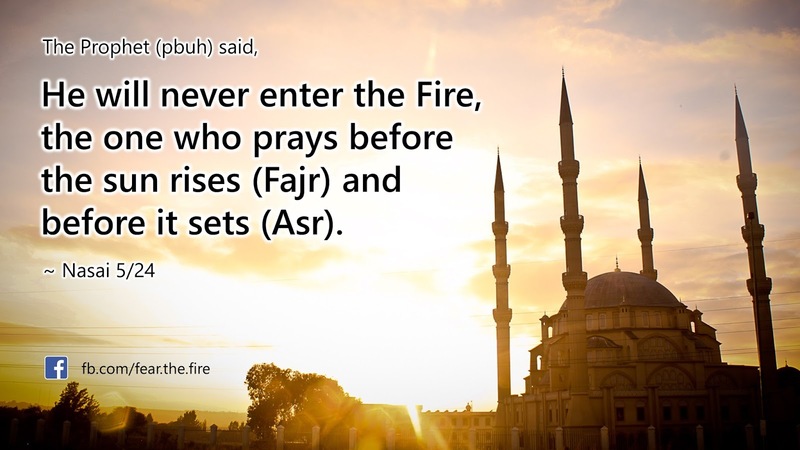 Salah‬ is so important to ‪‎Allah‬ (see 'Message of Allah to His Creation') that on the night of Isra He initially ordered our Prophet (pbuh) and his ‪‎Ummah‬ to pray 50 ‪‎times a day. Since continuous worship would consume the whole day The ‪‎Prophet‬ (pbuh) requested Allah to bring down that number. After few deliberations the number was brought down to five. 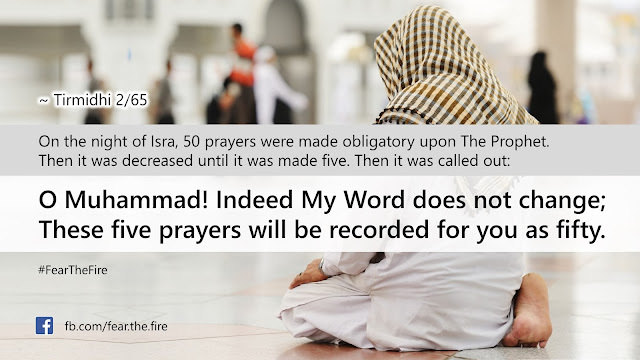 However Allah said to The Prophet (pbuh), those who pray 5 times a day will be rewarded equal to praying 50 times a day. That's 10 times more !! 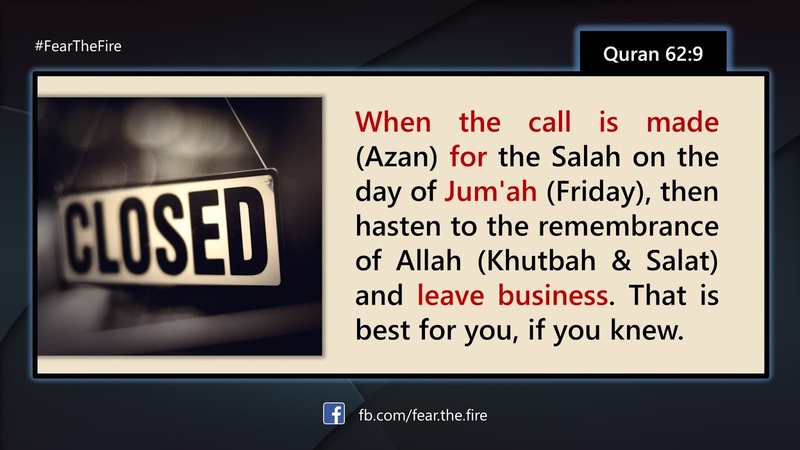 Quran has also explicitly mentioned that those who don't pray five times a day will find a place in Hell. 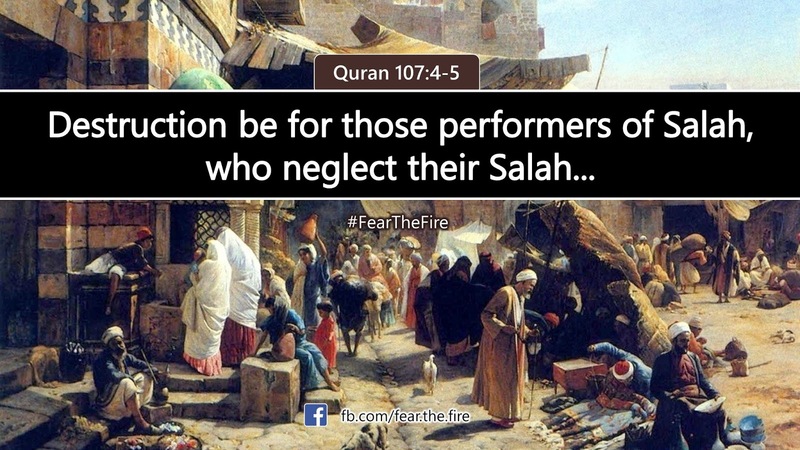 Salah for Children: Since this section is about the importance of Salah, the Sharia has an advise for parents too. 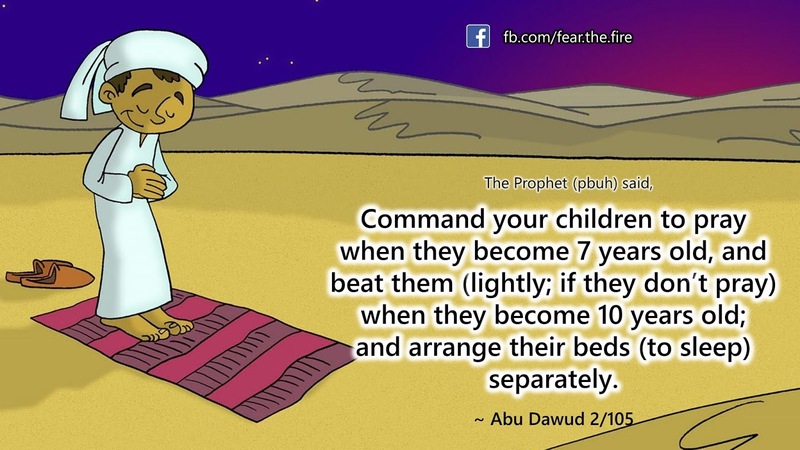 As praying is not mandatory for children below 10 years of age, parents are advised to get their children accustomed to praying from the age of 7. Slowly inculcating the habit ensures that parents don't face any push back from the child once he attains the age of puberty. Else managing children in today's age, where we have lots of fitna, is extremely difficult. Thus if you practice the following Sunnah, then, in sha Allah, getting children to pray when they become 10 years old is much easier. 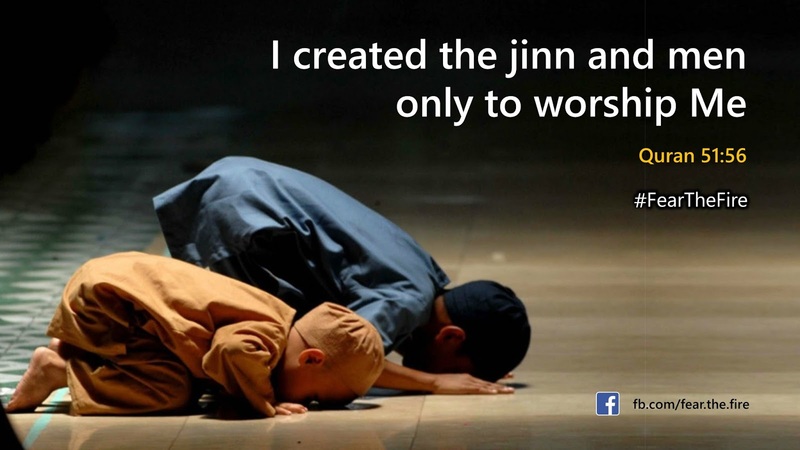 But beware: if you don't have a habit of praying yourself then probably it will have an impact on your child too. One can argue that there are many non-Muslims or Muslims who don't pray yet have a good character. However if you consider the long term implications of goodness, it means whether the person will be successful in the Hereafter or not. 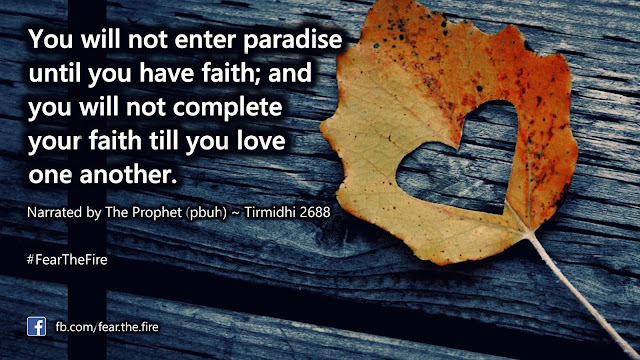 If no Paradise for that person despite having a good character then what is the value and resultant benefit of his goodness? While praying is important, there are certain ground rules for a prayer to be valid. 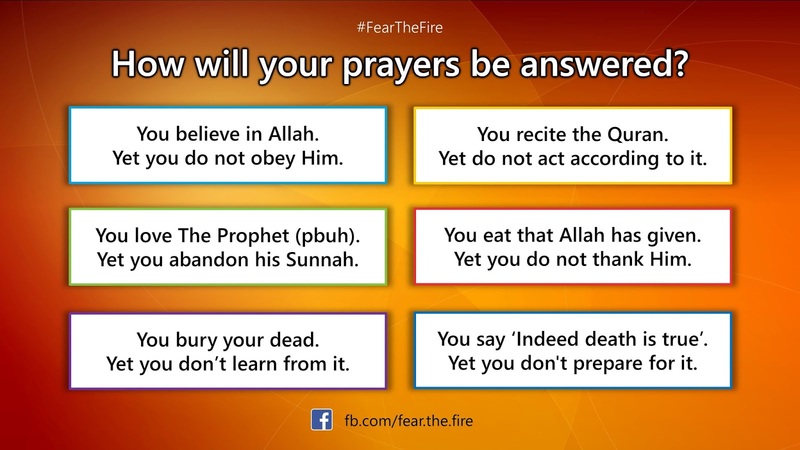 Here are six conditions for a Salah to be accepted by Allah. These apply before someone starts praying. 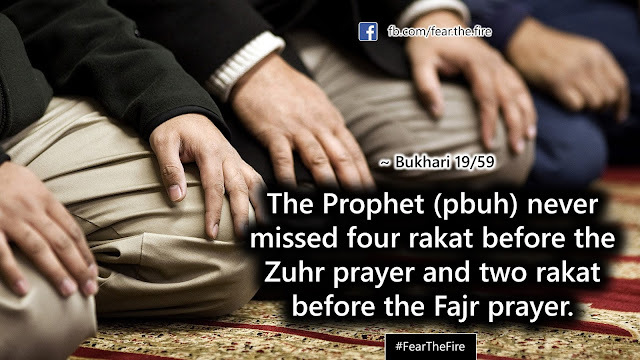 The time for prayer must have begun. This is the most important condition. A prayer offered before its time has begun is not valid. Covering the Awrah (parts of the body which must be covered with clothing). If a person prays with his Awrah uncovered, his prayer is not valid. The (basic) awrah for a man is covering of navel to knee and the awrah for a woman is covering from head to toe. Free from ritual purity: Being in the state of Ghusul or being in Wudhu. Free from tangible purity (najas): purity of the body, purity of the clothes, purity of the place where the prayer is offered. 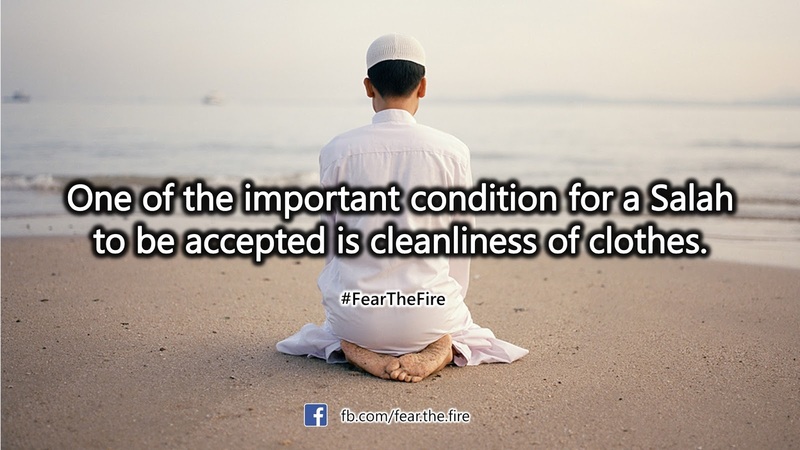 One of the conditions for a prayer to be valid is wearing of clean clothes. 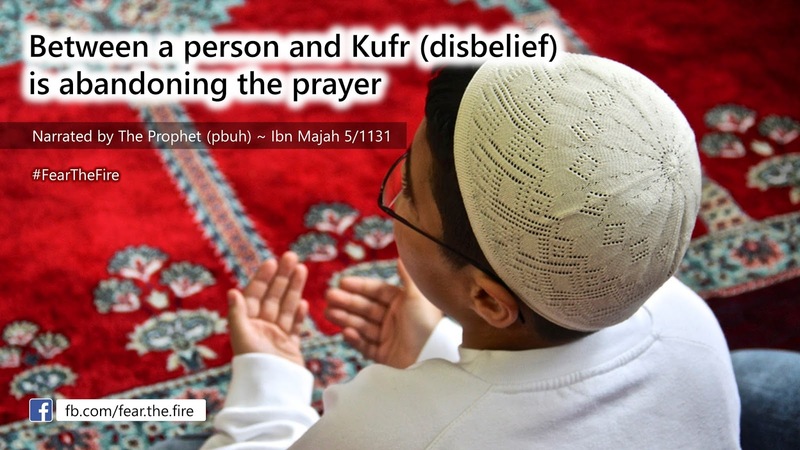 If the clothes are dirty then it has an impact on the validity of the prayer. 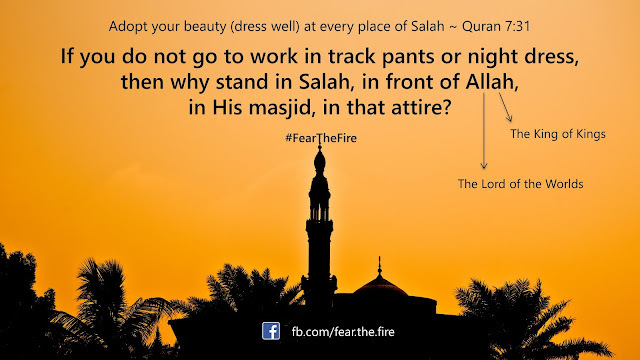 The rationale is if we go well dressed to work or a family function but do not wear the best of our attires while going to masjid (for men) or praying at home (for women), then we are, in a sense, doing disservice to the above Quranic guidance from Allah. The best of attire would vary depending on the capacity of the individual. If the person is poor he should dress up with whatever best he has within his own capacity. There's a difference of opinion among the scholars on which is the 'middle prayer'. Some believe it is the Fajr prayer as Islamic day starts after sun sets. 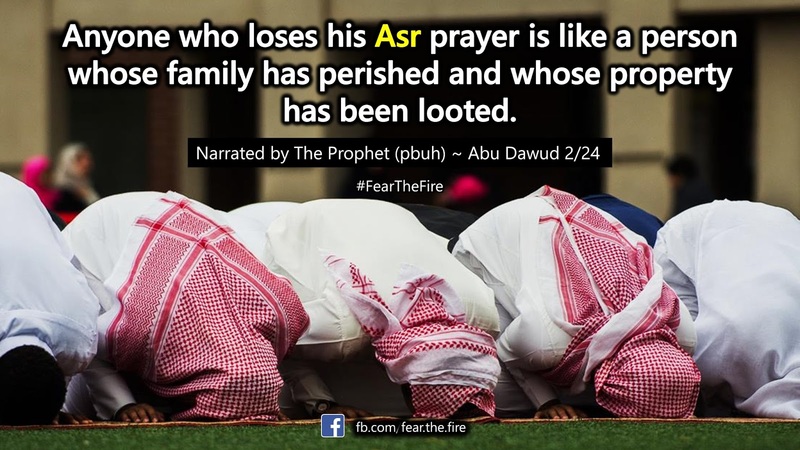 However some scholars believe it is Asr and that is more correct opinion based on one narration of The Prophet (pbuh). On the day of al-Ahzaab, he (pbuh) said, “They distracted us from the middle prayer, Asr prayer.” Another reason is because The Prophet (pbuh) emphasized the calamity of missing it and described it as loss of family and wealth. >> Maghrib Salah time: After the sun sets until all reddish of sun finishes (about 20 minutes). 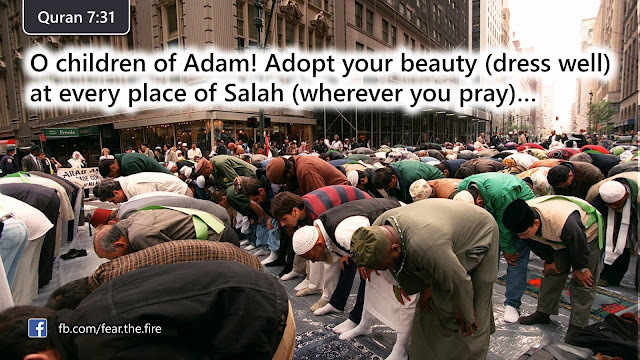 For women, it is better and more meritorious if they pray at home. 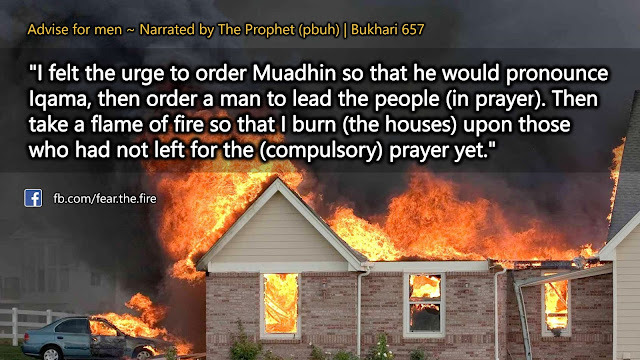 However if they wish to go to masjid to pray they should not be stopped. 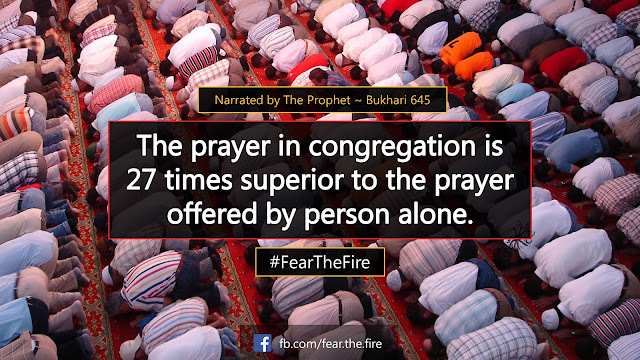 It is also said that if the woman prays alone at home she will get the same reward as the men get when attending the congregational prayer. 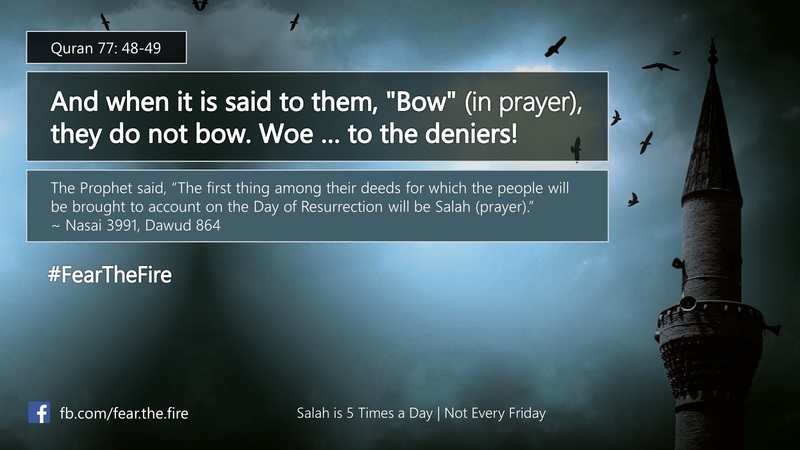 One of the major sins in Islam is not praying five times a day. Every sect of Islam agrees on this. 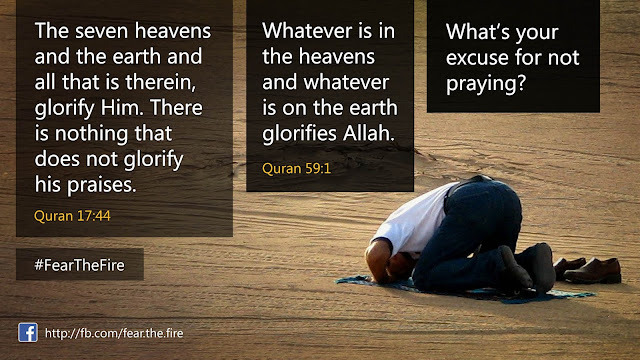 We must also understand that everything in this universe glorifies Allah. 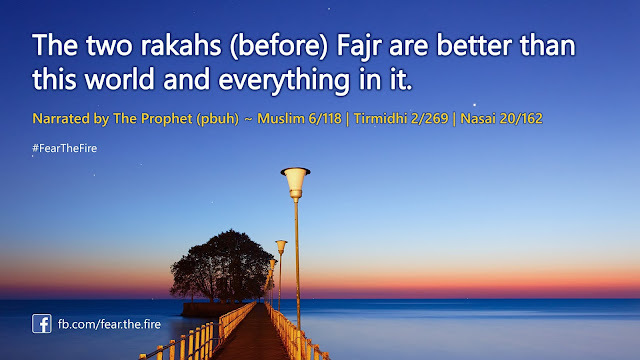 Whether we do it or not doesn't make any difference to Allah ― The Mighty, The Creator, The Sustainer and The Destroyer. 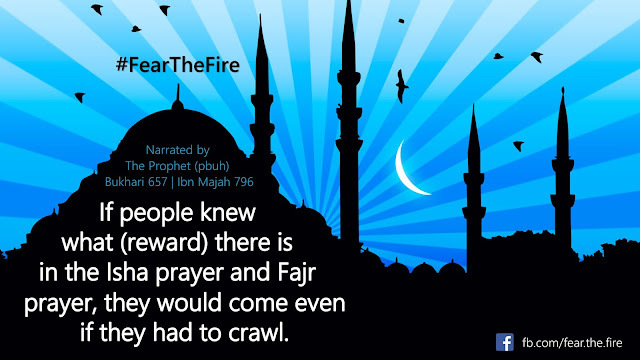 In the hindsight, those Muslims who don't pray might have everything in life but in the Hereafter they will be the ultimate losers. 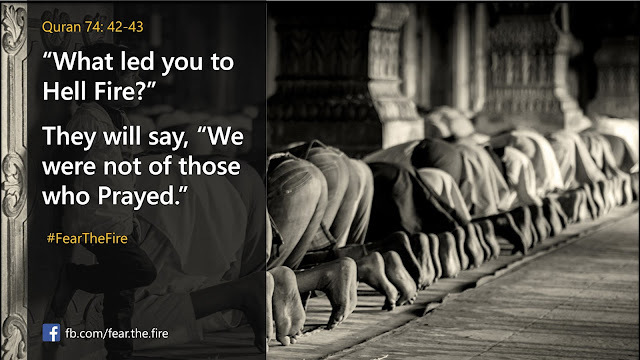 Is it fair to assume that our prayers won't be answered if we are half-sincere in our Imaan? Don't we give our best shot at exams in school/college or in our jobs in order to get the best results? 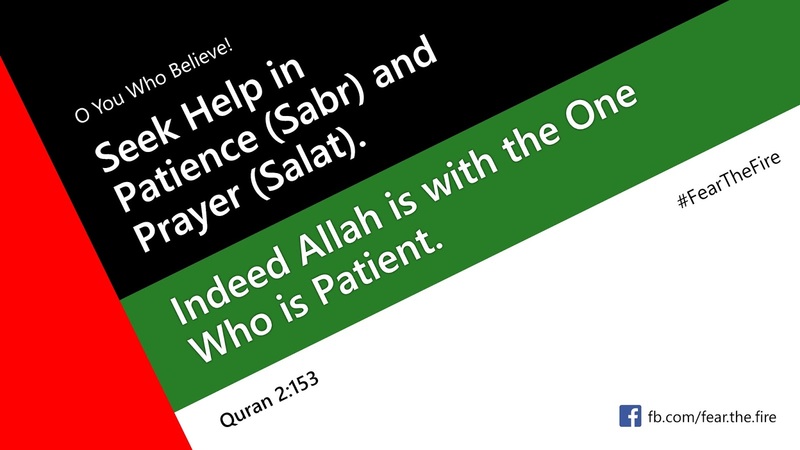 If we expect Allah to answer our prayers, isn't it important for us to prove our sincerity and then expect Allah, The Lord of The Worlds, to shower His favors upon us? If we have accepted Islam as our way of life, then it is expected to be fully on-board. Know that despite their deep faith in Allah, even the Prophets and Messengers went through several trials in life.